Donate now and give the gift of music to a young aspiring musician. We receive no government or lottery funding. So far, your generous donations have enabled us to provide free educational programmes for over 1000 children. You’re the reason we can keep providing our vital help to support the next generation of musicians in the UK and overseas. Thank you from everyone at the Ronnie Scott’s Charitable Foundation. Whichever way you decide to support the Ronnie Scott’s Charitable Foundation, we will ensure your donation will make a real impact in supporting jazz and music education in the UK, changing many children’s lives forever. One off or monthly donations are easy to do with Just Giving. If you’re in the UK and would prefer to make a donation by phone, you can call us on 0207 432 6935. Please make cash or cheques payable to ‘Ronnie Scott’s Charitable Foundation’ and post to: Ronnie Scott’s Charitable Foundation, 47 Frith Street, W1D 4HT, London. Donate by bank transfer to RONNIE SCOTT’S CHARITABLE FOUNDATION, HSBC BANK, Account 62597977, sort code 40-06-21 – please reference Donation and your name. Start a direct debit to regularly contribute to the upkeep of jazz education. Standing order donations come directly from your bank on a nominated day direct to Ronnie Scott’s Charitable Foundation. This is a simple way of setting up a regular monthly or yearly donation. Don’t forget to Gift Aid it! 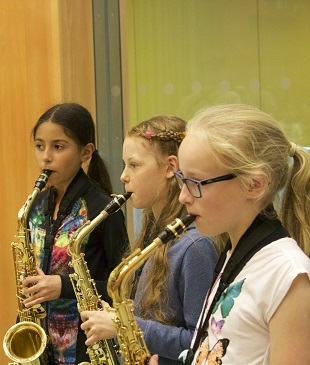 Putting a gift in your will is a great way to make sure that the RSCF can continue its work providing young people with access to jazz music education. Please email foundation@ronniescotts.co.uk for more information. You can add a donation when purchasing tickets for shows at Ronnie Scott’s Jazz Club. Listen to great music, whilst supporting it! A champagne cocktail specially designed for the RSCF and can be purchased during your next visit at Ronnie Scott’s. All profits from the sale of this cocktail will go to the Ronnie Scott’s Charitable Foundation.